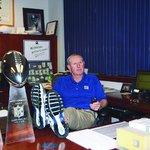 You would have to think that Shurmur is behind this pick. Don't love the idea of back-to-back QBs in the 3rd-4th rounds. That's how the Jets and other bad organizations operate. I will hold out hope for one or both but will not hold my breath. If you would stop and think, you'd see that most of the people who wanted a QB at #2 are not big Webb believers. A lot of us think the Webb pick was a waste of resources that could have gone to another position that would have gotten to contribute right away. So it isn't a stretch to think we also see the KL pick in the same light, preferring a more immediate impact player to another QB lottery ticket. You're too busy trying to censor opinions and attack people you disagree with, you can't see the logical consistency of preferring a QB at #2 and not wanting to use more mid-round picks on QB. I feel bad this internet board gets to you so much. You might want to take some time away if it's that much of an issue for you. Hard to call Darnold a lotto ticket when your guys at Optimum are calling him a Wentz-level prospect. You'd have been better off arguing that KL is a sure thing. But it's harder to make that case for a 4th round pick. Chad Pennington is a good comparison. Pennington was good but he was injured too much. Had the weak arm though. Gives more competition at QB, not a bad thing if you ask me. 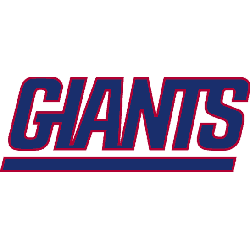 Awesome now there'll be even more moaning to see a new QB every time the Giants go three and out the next 2-? years. Eli Manning doesn't get hurt and he's not ready to go to Shady Pines. I really wouldn't have minded a QB at 2 if the next move was to cut Eli.....not a big fan of stockpiling guys to rust behind him, practices are so limited these two will barely touch a football during seasons. I saw plenty of arm strength in those highlights. Creates really good competition between him and Webb. Strategically a great pick. Significantly increasing the odds that one of them will be the heir to Eli. That is worth a roster spot. It's like when you buy two lotto tickets instead of one, you actually increase your odds significantly with two (according to the math). 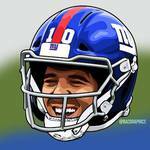 I'm hoping that Eli has a career revival so that the Giants don't even think about a new QB until 2020 or even 2021. Maybe Shurmur can get more out of him and if the Giants can fix the OL, Eli will be less jumpy, thus improving the accuracy. "Very good in all areas. Winner. Competitor. 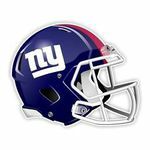 Only lacks elite arm strength but he makes up for it with his legs and moxie," Giants coach Pat Shurmur told ESPN's Chris Mortensen in a text message.